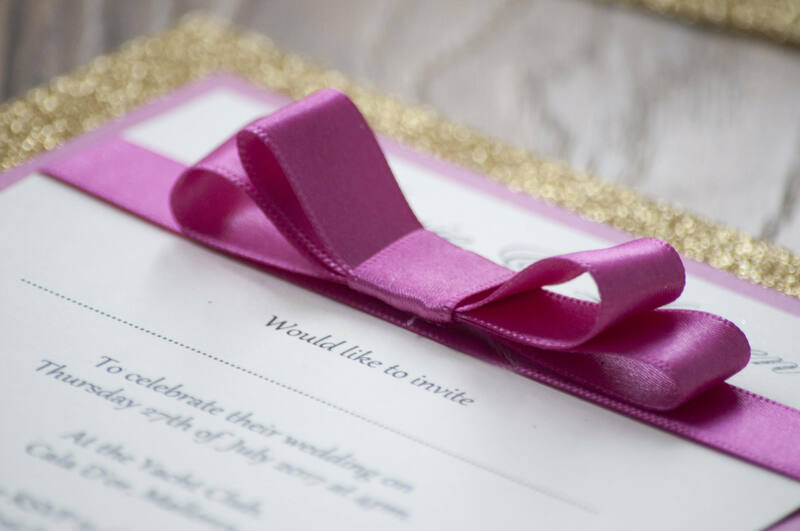 These simple handmade wedding invitations are the perfect for any wedding, so unique and personalized to your choice, this is all you need for others to remember when your special day will be. 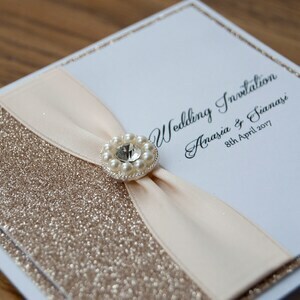 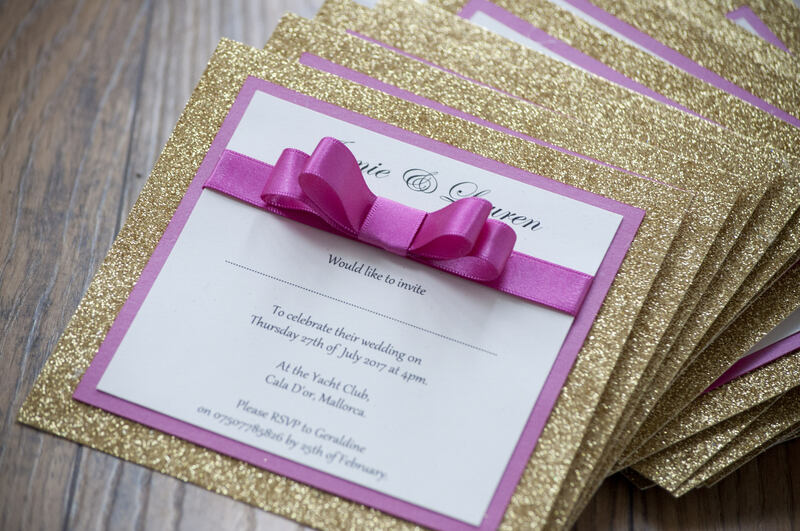 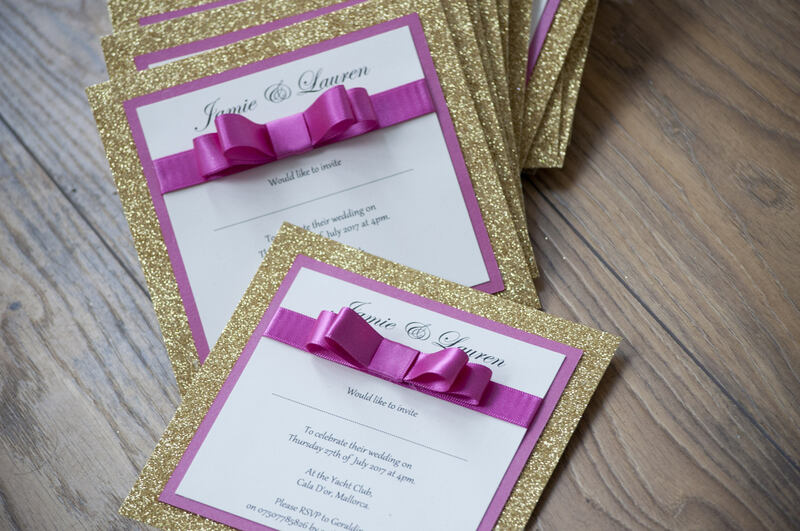 Each handmade wedding invitation is finished off with glitter backing, available in a variety of colours. 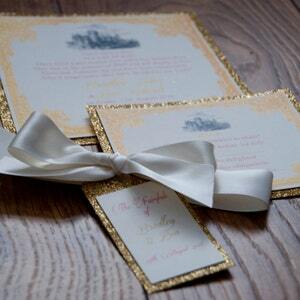 It is made with high quality card which you can choose from white or ivory. 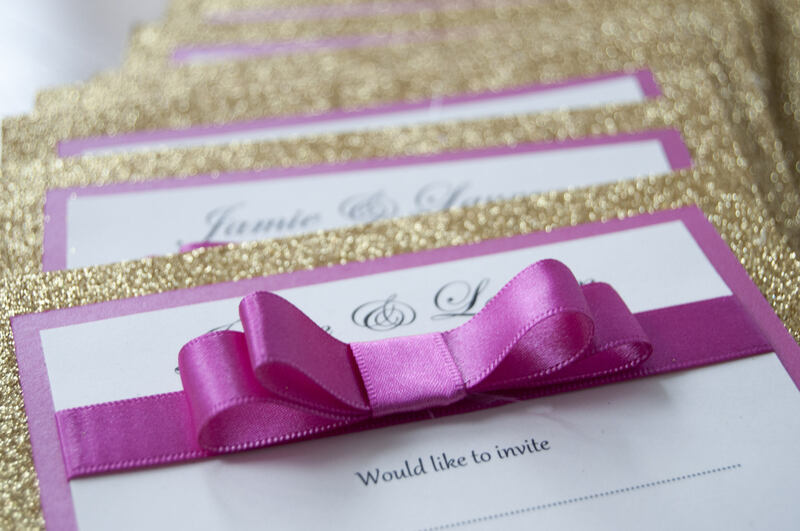 There is a variety of accent colours available, imaged one is fuchsia. 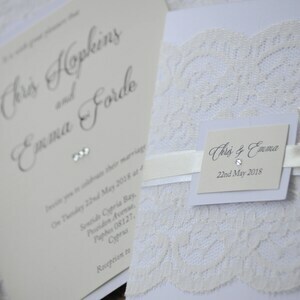 Comes with envelope white or ivory. 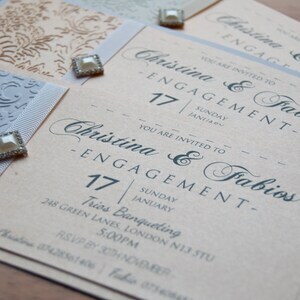 If you prefer to have the wording different please email us with what you would prefer.